John D. Nesbitt grew up in the farm and ranch country of northern California, where he worked in the fields for many years as he went through school. He earned a bachelor’s degree at UCLA and then a master’s and a doctorate at UC Davis. John Nesbitt now lives in the plains country of Wyoming, where he teaches English and Spanish at Eastern Wyoming College in Torrington. His western stories and modern West stories have appeared in many magazines and anthologies. Endeavor Books has published Keep the Wind in Your Face and A Good Man to Have in Camp, two contemporary western novels; Adventures of the Ramrod Rider, a work of satire, parody, and comedy; and Blue Book of Basic Writing and Writing for Real, college textbooks. Four traditional western novels, One-Eyed Cowboy Wild, Twin Rivers, Wild Rose of Ruby Canyon, and Black Diamond Rendezvous, have been published in hardbound, large print, and paperback. He has also brought out four short story collections, including Antelope Sky, a collection of modern West stories, and Seasons in the Fields, a collection of stories about rural California. His fiction, nonfiction, book reviews, and poetry have been widely published. 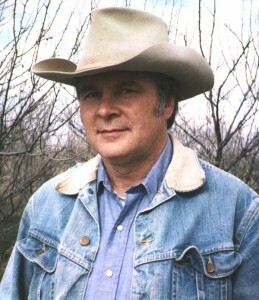 He has won many prizes and awards for his work, including two awards from the Wyoming State Historical Society, two awards from Wyoming Writers for encouragement of other writers and service to the organization, two Wyoming Arts Council literary fellowships, two Will Rogers Medallion Awards, three Western Writers of America Spur awards, and a Western Writers of America Spur finalist award.